Laser lipolysis, commonly known as ‘laser lipo,’ is a non-invasive procedure for the removal of fat resistant to diet or exercise with fewer side-effects than traditional procedures such as liposuction. 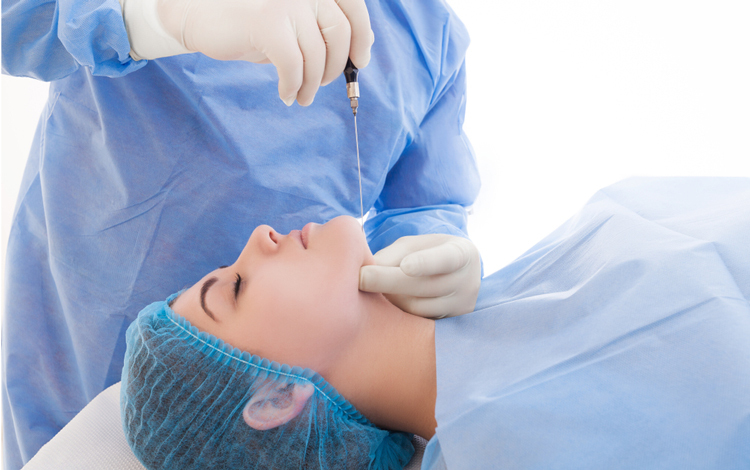 The procedure uses a laser to effectively ‘melt’ unwanted fat on the face and body, and then either allows the body to metabolise the melted fat or uses ‘aspiration,’ a form of suction that allows the practitioner to remove greater quantities of fat. The surgeon will need to make a small incision and the area being treated will be numbed with local anaesthetic. Because you are awake throughout the procedure, there are fewer risks involved than with traditional liposuction, which is often done under general anaesthetic. It will take your body three to six months to naturally metabolise and eliminate the fat, although you may notice a difference after one to two months. The results are more dramatic and immediate where suction is used. The heat from the laser can also help tighten the skin so you may instantly feel more toned. The most common side effect of laser lipolysis is swelling and bruising but this is temporary and should subside within a couple of days. There is also a risk of infection for which antibiotics will be prescribed.